ADENA . Today’s reference in case lighting. 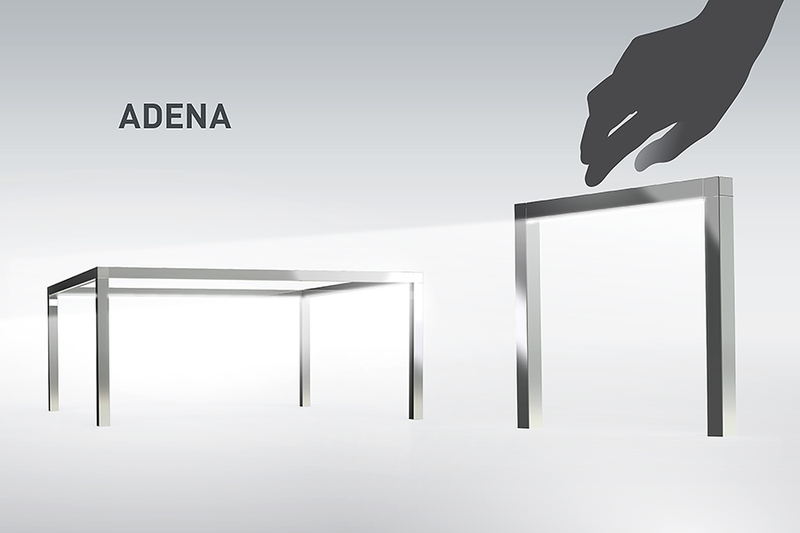 Designed to be the quietest light bridge in the world, ADENA perfectly conceals its light and totally eliminates undesirable glare. ADENA is also uncompromising on light distribution. Its light floods the entire usable space in a display case, assuring generous coverage even when products are set onto elevating accessories, such as neckforms and risers. ADENA’s focused point sources significantly enhances sparkle on faceted surfaces, making jewelry come alive, thereby captivating its audience. We’d like to thank you for visiting us at LEDucation, the show was a huge success for us even more than we could have thought of and we sincerely hope the new products 2016 met your expectations and beyond. I personally wish to tell you, on the behalf of the entire Eklipse team that it’s always a pleasure to see you over there and hear from you. Thank you again for your interest, energy and encouragement. Feel free to contact us for further technical or commercial information. The smallest track lighting system in the world combining linear shelf lighting with accent spotlight. Intended to designers who wish to create perfect shelf illumination, the new family actually encompasses three exceptional miniature products. 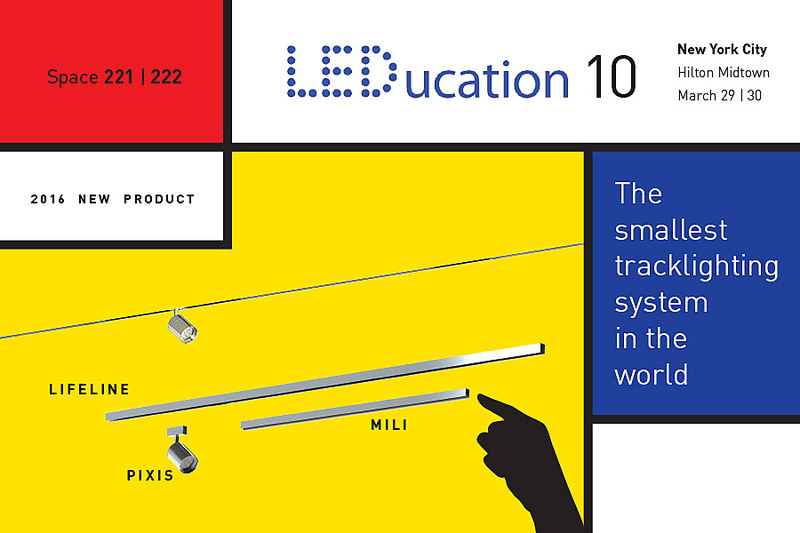 With its 0.182” width x 1/2’’ height, MILI is the smallest and lightest LED linear on the market, made for shelf lighting. Beyond its extreme slimness,MILI is cut at 35° offset which aims to create an asymmetric beam and cover the entire workplane top to bottom, making the light source out of sight at the same time. 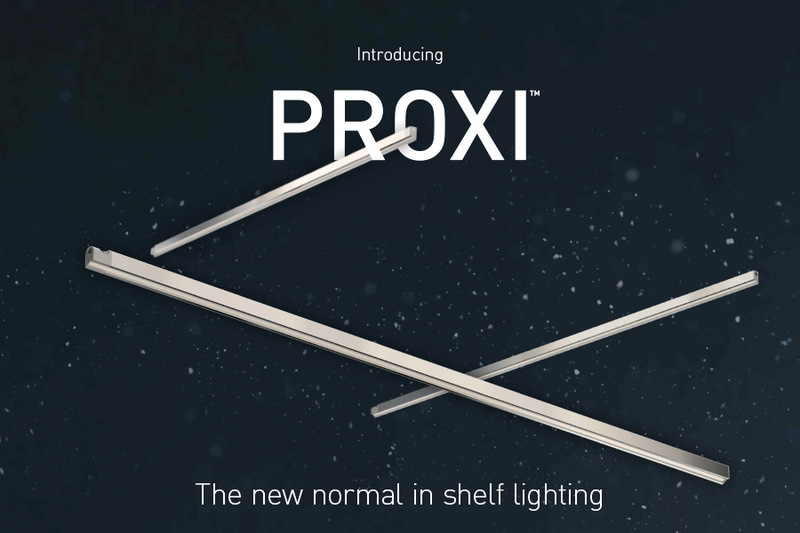 PIXIS’ latest version for track lighting, demonstrates once again its great versatility and easy-to-use features. Compact in design but big in light, it can be added to the system and provides precise focus illumination in many merchandising applications. 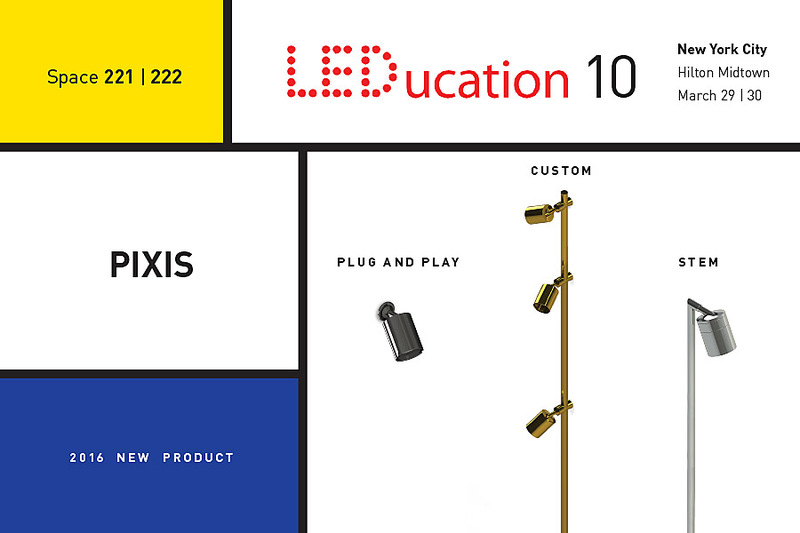 For LEDucation 2016, the entire line PIXIS will be presented, with in particular the last born of the family PIXIS CUSTOM, designed for vertical glass display. Introduced throughout the previous year, the line NIXE is from now on available for non-linear application. This curved version bears exactly the same light features and performances as its straight counterpart.